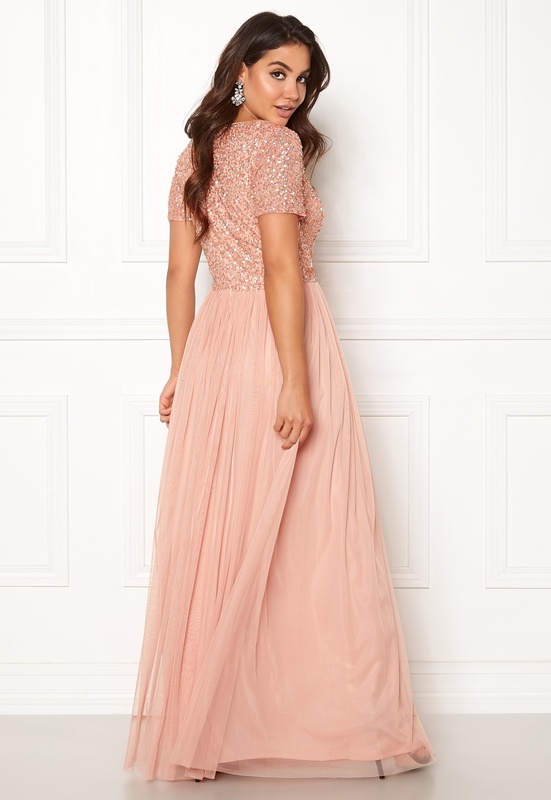 Stunning dress with sequined upper from ANGELEYE LONDON. 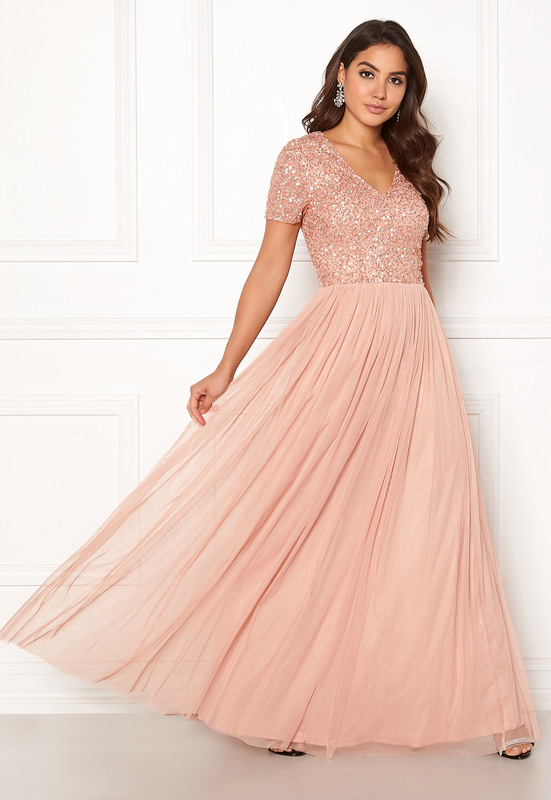 The dress is a beautiful fit and has a lovely drape. - Nonstretch, woven quality - V-neck - Sequined upper - Concealed back zipper with hook - Lined Back length from shoulder 155 cm, bust 88 cm in size S (UK10). The model is 170 cm tall and wears a size S (UK 10). Handwash only.